The Smith's Blenny, Meiacanthus smithi,is commonly referred to as the White's Blenny, Fang Blenny, Smith's Fang Blenny or Disco Blenny. With its beautiful colored body and black stripe over the chin, the Fang Blenny makes a captivating addition to any tank. 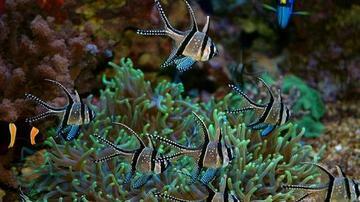 The Smith's Blenny grows up to 3 inches and needs a tank no less than 30 gallons. 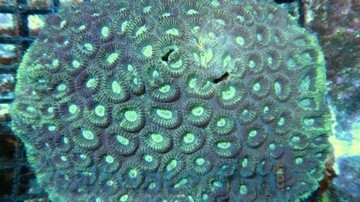 It requires live rock for hunting and grazing, is best to keep only one per tank unless a breeding pair is maintained. The Smith's Blenny is not usually aggressive unless the tank mates appear to have a similar shape. 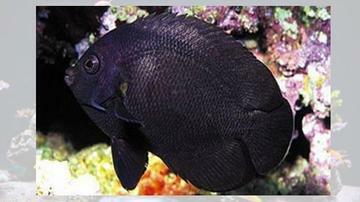 It is named appropriately since its fangs are more of a defense mechanism used for biting an aggressive fish back. The Fang Blenny should be given a diet of finely chopped crustacean flesh, Mysis and vitamin-enriched Brine shrimp, as well as frozen herbivore preparations. The Fang Blenny is considered reef safe and can be a good tank inhabitant of the reef tank, if housed with the proper tank mates. 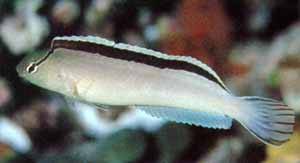 The Fang Blenny should not be mixed with other Blennies in small tanks. It has incredible jumping ability, which lends it a name as Rock Skipper and should be kept in a tank with a tight fitting lid. It thrives well in a temperature range of 72-78°F and pH of 8.1-8.4.